He just sat down on the floor and cried. Real, heart-deep sobbing. Today I saw my little six-year-old-that-I-many-times-see-as-older boy sit on the kitchen floor and just sob about having to go to school. He just sat down on the floor and cried. Real, heart-deep sobbing. My heart didn’t break because he has to go to school, but because he feels this emotion so deeply and my acknowledging his feelings can’t help him feel any differently. I felt empty. Empty of ways to help him through this experience. In the past I’ve shared with you some of the ways we’ve worked through separation anxiety with our boys. 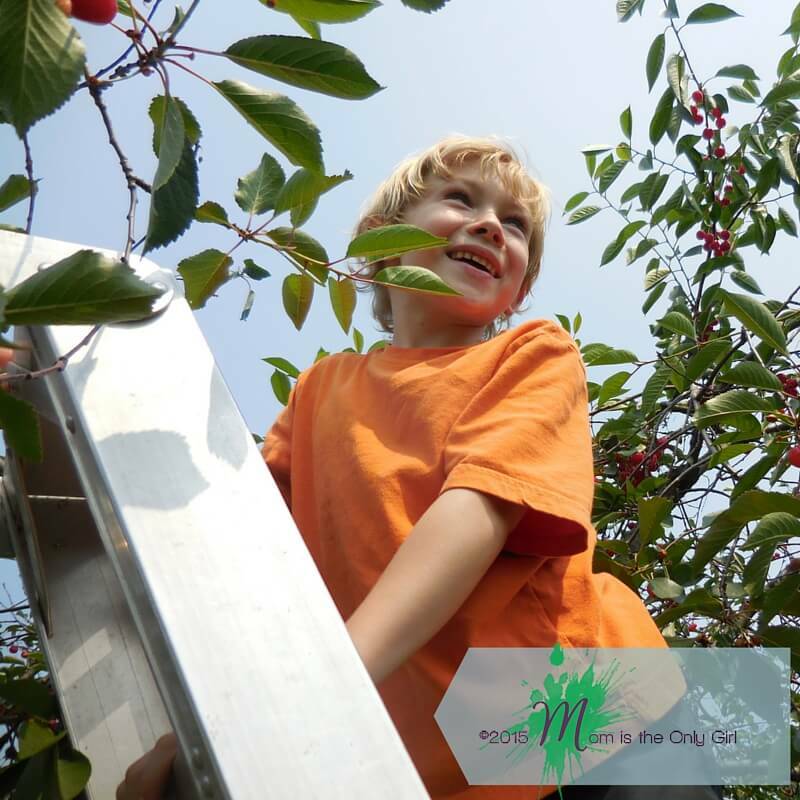 I’ve always tried to reassure you that it’s something many parents experience with their children, that you aren’t alone in not knowing how to help your child deal with their feelings when you part for a while. Separation anxiety is real for many little ones and I wish to explore it more deeply this fall. I plan to talk with teachers, do lots of reading, and share what I learn with you. What I learn about in terms of both children and parents trying to help their children through it. So we don’t have to feel empty, having no resources every morning they go back to school. So instead of sharing some fun things we did this summer in hopes to encourage you today, I’m asking for your ideas, once again, to get my little man to courageously get on the bus in the morning. To bravely walk into that classroom. To not deny his ‘displeasure’ but to cope with it in a healthy way. For him to not feel empty of happiness through this process. Its so hard to have your child cling to you so hard that you walk away with bruises. Not just physically, but emotionally for mom as well. 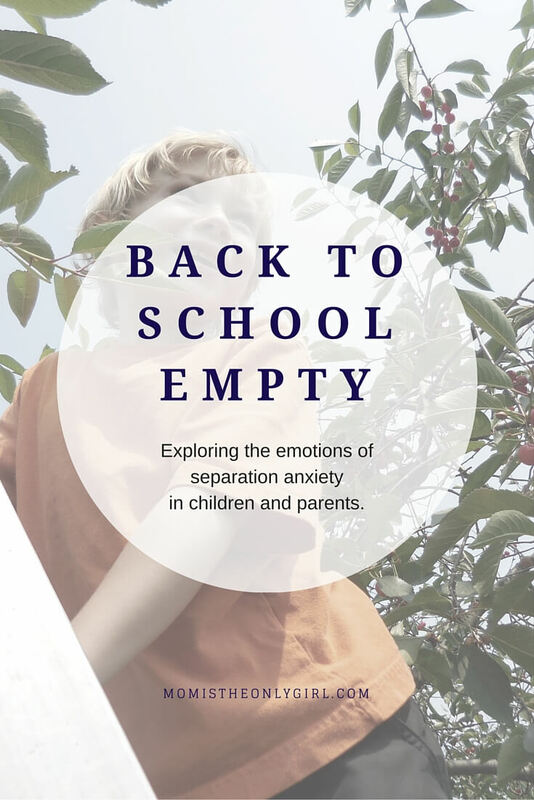 So I guess rather than saying I need to get over my emotional-ness, I should say I’m feeling ‘back to school empty.’ I have the feeling there are other moms that can relate. If you can relate, just drop me a line so we can help each other through this. If you know of things that might help, please pass them along to share with others. Moms are such a wonderful resource for other moms! Pingback: What's Metallic and Edgy? As a teacher (currently on hiatus) I have been on the opposite end of this equation. I’m not sure what to say that will make it “better”- but I will reassure you that your son’s teacher absolutely adores him and wants him to be happy and find joy in school, also. I know because I have been there. Could you work with him to choose an item (a snack, a card, etc) to take to his teacher or maybe even take to his old teacher since they have a rapport. It would give him something tangible to be excited about. Could you be a guest reader in his classroom at the end of the week to celebrate making it to school through the week? I will brainstorm some more ideas we used with my former students!!! Good luck, Mom! Thank you, Kate! I’m so open to ideas and suggestions…having dealt with this and tried so many things since he was in preschool! Thank you for taking the time to comment!